I was quite lucky in the mother-in-law department. Jeanne Pope was not only a wonderful person, but she was also a fabulous Southern cook. And, boy, did she cook a lot with four growing boys at home! 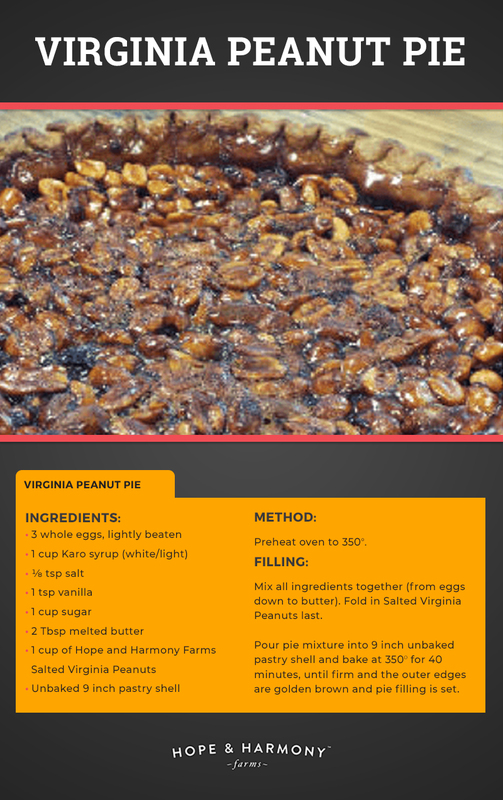 Her Virginia Peanut Pie recipe has stood the test of time as a classic family favorite. Jeanne, like most moms, would fix a special birthday dinner for each of her boys. As a young boy, my husband, Jeffrey, would always request fish sticks and tater tots. Jeffrey’s October birthday rolled around and as Jeanne was planning the dinner menu, Jeffrey suggested, “What about fish sticks, tater tots, and peanut pie?” Jeffrey winked and I laughed. Sure enough, Jeffrey’s birthday rolls around and as were were seated at the dining room table awaiting dinner, we were served fish sticks and tater tots! Ever the Southern hostess, Jeanne even pulled out the good china for the occasion. 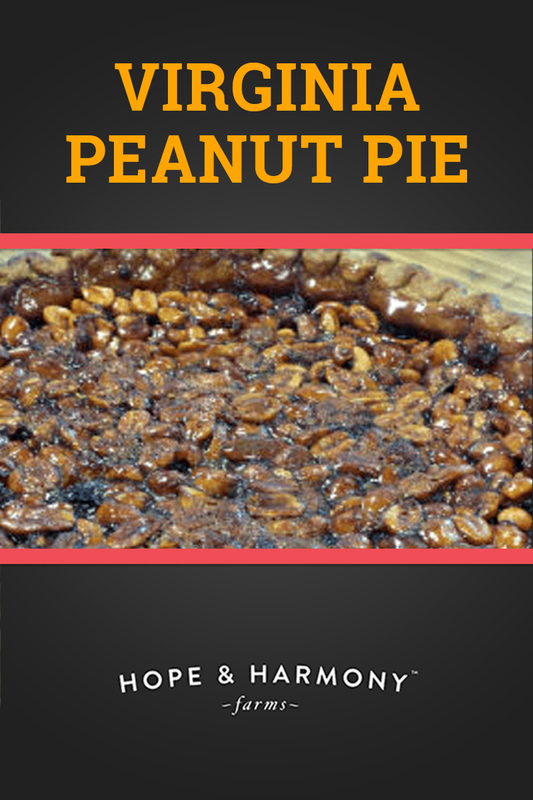 That night, as everyone enjoyed their fish sticks and tater tots, I remember being eternally grateful for the delightful peanut pie. Let's just say, her peanut pie saved the evening. The next time Jeffrey requests his childhood favorite, I will surely remember to save the day just as Jeanne did. Try her famous Virginia peanut pie served with a giant helping of vanilla ice cream (two scoops if you’re forced to eat fish sticks for dinner). Filling: Mix all ingredients together (from eggs down to butter). Fold in Salted Peanuts last. Pour pie mixture into 9 inch unbaked pastry shell and bake at 350℉ for 40 minutes, until firm and the outer edges are golden brown and filling is set.